California Mango Hand & Body Care products are Gluten-Free and use Vegan Formulas. We manufacture all of our products, primarily using Naturally Derived Ingredients. Mango alone is rich in Vitamin A, B1, B2, B3, B6 and Vitamin C as well as powerful Antioxidants & Minerals. 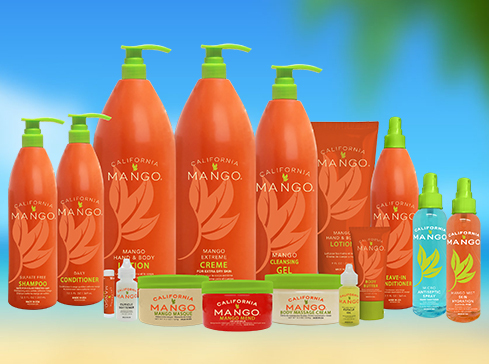 With over 29 years of proven results, trust all your skin care needs to California Mango. Made right here in the USA, for all your hand, body & hair care needs.